Starting a business and registering a business name? Those doing this may be wondering how to register the name. This article explains the basics of registering and other important considerations. Registering a business name is easy, but once it’s done, it needs to be protected. This means filing for trademark protection at the state and federal level, if appropriate. LegaLees’ Attorney Lee R. Phillips has written a new article called, “Registering a Business Name.” In the article, Mr. Phillips reviews the steps for registering a business name. He begins with how to call the state and reserve the name and ends with the importance of trademarking the business name. While registering a business name is important, protecting that name is also important and taking care of that name is up the the business owner. Mr. Phillips serves as a counselor to the Supreme Court of the United States. He is the author of 11 books, including his latest book Protecting Your Financial Future. He has written hundreds of articles for professional people assisting them in finding various strategies using the law to protect their property, save taxes and make additional money. Lee enjoys helping others to apply the law and reach new financial heights. 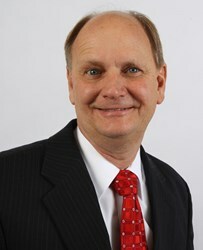 LegaLees was founded in 1982 by Lee R. Phillips. It is a legal self-help publishing company and produces products designed to help people understand the law. Based on his own personal experiences, Mr. Phillips realized that people needed to be able to understand how the law works so they can direct their own legal professionals, or do their own work. LegaLees has designed many products to help individuals structure their personal and business affairs.